We all battle our own darkness, life challenges and illnesses. Many of us have turned to arts and music as a healing path. We create, record, and perform our music; write our stories; make and share our art to express. But we are part of something much bigger than ourselves. When we share our stories, music, and art, we help others who may be battling something similar. When we allow ourselves to be vulnerable, it opens the door for others to share their stories, which can continue to promote healing. We are lights in the darkness. My vision is to share how we've become lights for others through our stories, music and art and the connections between our art/creativity and our healing. 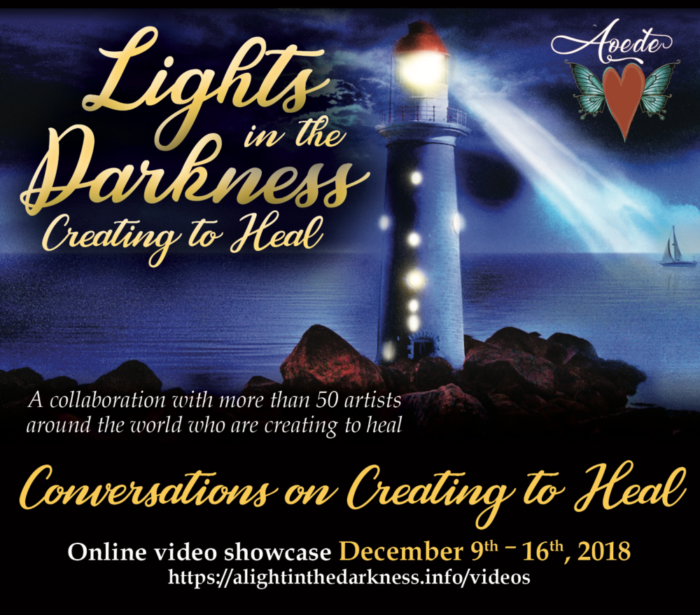 I created an online Facebook community that includes 200 artists creating to heal and have collaborated with more than 50 artists and produced two events in December 2018: an online video showcase featuring 45 artists and a live/streamed webcast. Are You an Artist Creating to Heal? "Lights in the Darkness-Artists Creating to Heal!" “This activity was supported in part by the California Arts Council, a state agency, and the National Arts and Disability Center at the University of California Los Angeles. Any findings, opinions, or conclusions contained herein are not necessarily those of the California Arts Council, the National Endowment for the Arts, and the National Arts and Disability Center." 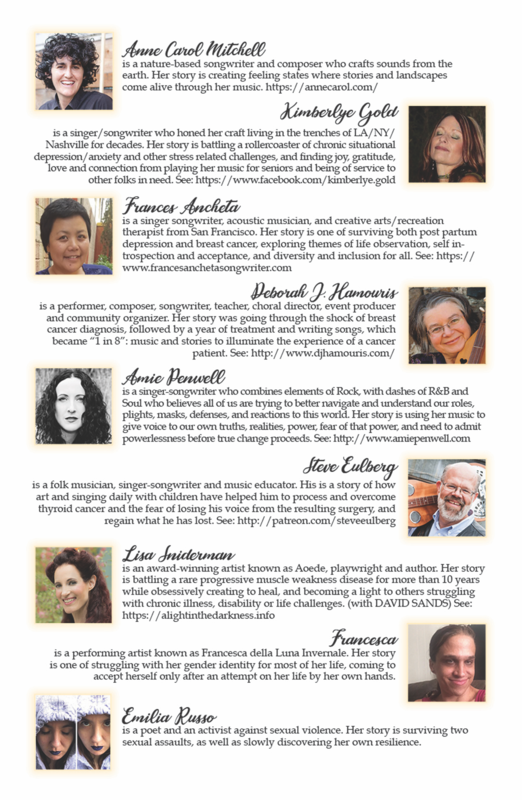 On December 16th, passionate authors, artists and musicians who use creativity to heal spoke from the heart and shone their lights, sharing personal stories, songs, and art at a special live, and streaming online, multi-media event. 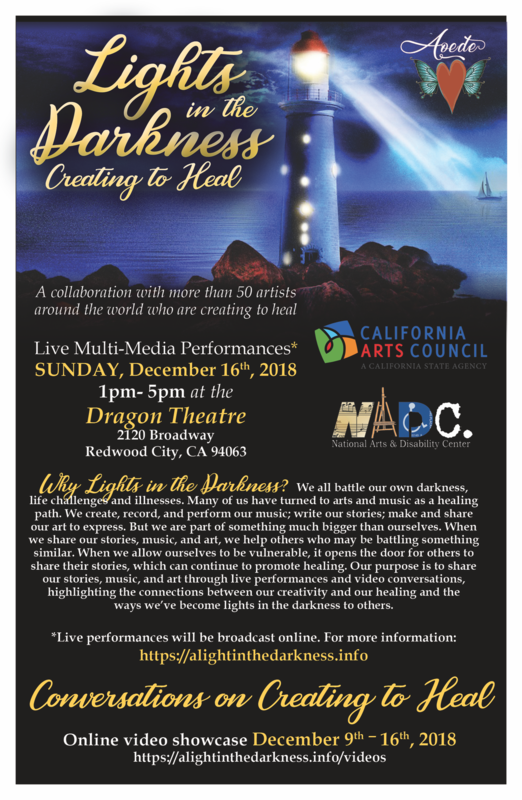 Featured live performances by nine artists (primarily from the San Francisco Bay Area) and included an hour of video highlights from conversations recorded with 45 artists, musicians, and authors from around the world who are creating to heal. 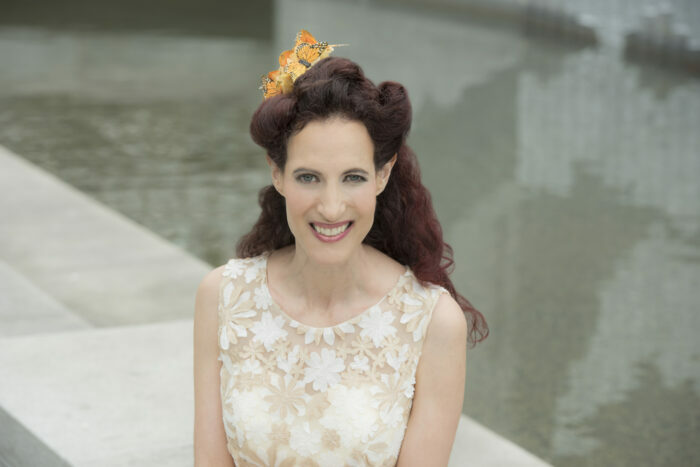 Keep Shining is a new song I wrote for the "Lights in the Darkness-Creating to Heal" December events, an expressive anthem inspired by stories of artists creating to heal and intended for those who may want to give up. While I voiced my inner fears, doubts, questions and insecurities, our live performers kept repeating the chorus to "Keep Shining" as a powerful, uplifting counterpoint. I will record this song in 2019 in collaboration with the 'Lights in the Darkness' community.